Backing up is a tricky enough habit to get into in a one-computer house, let alone being digitally responsible in a house full of them. Plus if you have a veritable home breeding program of personal computers, there’s the very modern ‘problem’ of entertainment content – movies, TV show, music, podcasts, and whatnot – spread across all the devices. Enter the Seagate Central. 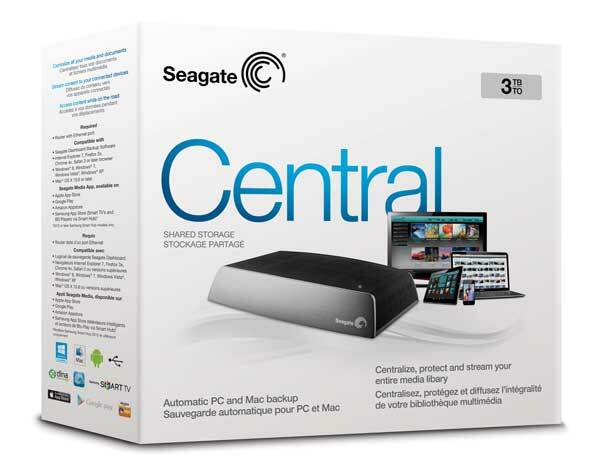 The Seagate Central connects via an Ethernet port on your router, and then allows approved and multiple PC and Mac computers to backup, or allow each other to access content, and to have it stream to a WiFi-enabled television, consoles and media players, or mirror content from a tablet or smartphone. It works with the following computer operating systems -Windows 7, Windows Vista, Windows XP, or Mac OS X 10.4.9 or later operating system. It’s browser-friendly with Internet Explorer 7, Firefox 3.x, Chrome 4.x, and Safari 3. In addition to backing up and streaming, the Seagte Central also allows file sharing across the devices in the network. It’s also accessible remotely, via the following apps – Seagate Media, iTunes App Store, Android Market, Google Play, Amazon Appstore, Samsung Smart Hub. Android smartphone and tablet requirements are Android 2.2, and Adobe AIR. 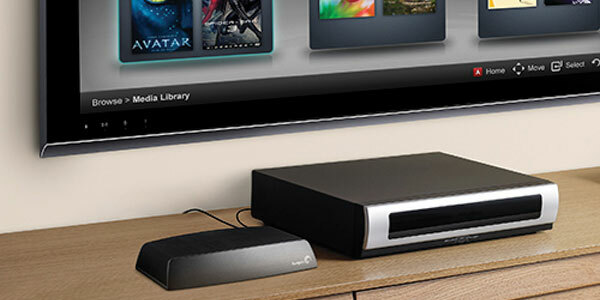 In a nod to the fact that the Seagate Central might well be placed in the lounge room close to your home’s main TV, rather than hidden away in a home office, time has been spent on the design. Yes, it’s still a box, but curves and angles have been added, flashing lights have been kept to a minimum, and the colour scheme should blend nicely with your TV, games consoles, media players and other such 21st Century home entertainment devices. 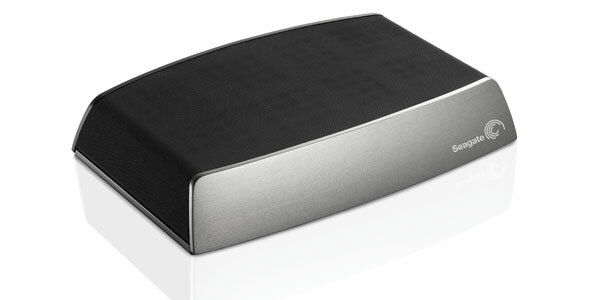 The Seagate Central is available in three hard drive sizes – 2 Terabyte, 3 Terabyte and 4 Terabyte, at RRPs of $199, $269 and $369 respectively.